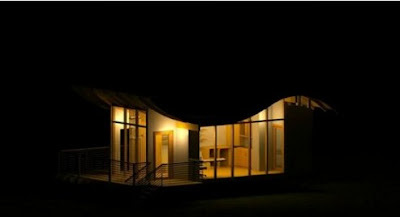 A U.S solar powered studio project called Lamboo Studio has recently unveiled their new radical S-shaped curvy roofing system that is capable of letting the home air cool in the summer and warm in the winter. 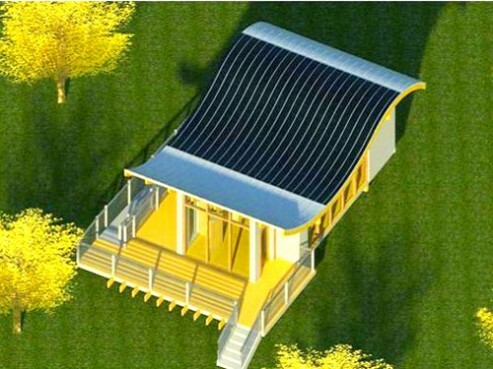 The Lamboo Studio’s curvy roofing technology is possible through combination of bamboo grass, metal roof and built-in solar electric panels. 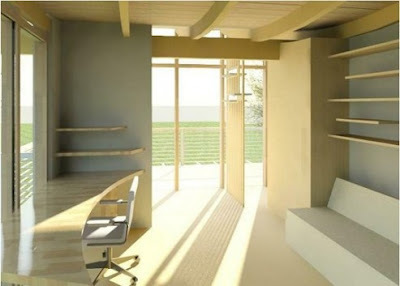 The aesthetical and artistic design has a nice blend into both the exterior and interior design. At the same time, it saves energy and provides generous daylight in the night time. Lamboo Studio itself is a company specializes in structural bamboo and the curvy shape eco-friendly is built mostly from renewable resources including bamboo I-joists, bamboo curved beams, cork floor and wall paneling. 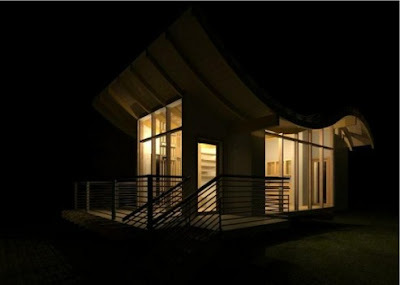 The floors are made from a vast growing grass with over 1600 species. 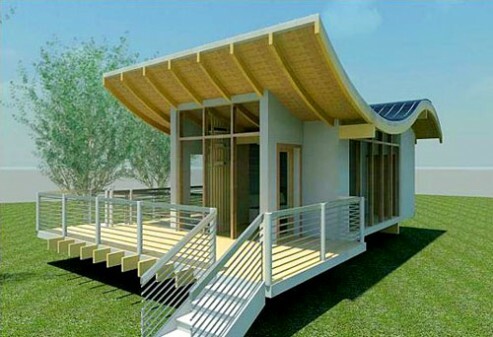 The eco-friendly building and roofing system is made as such to provide main room with enough proportioned space to allow deep penetration of sun-light into the space while maintaining adequately shaded space in the summer time.